Everyone looks very serious in that first shot, come to think of it isn’t that the first bit of blood we’ve seen in these photos. I hope Nick and Simon make a cameo appearance. Th “Power of Love” has ripped his clothing… Truly amazing… So, when is the 6th issue coming out? I hope it’s before the Movie, right? RIGHT??? is he modelling his hair on yours edgar?! any clues on how much longer you’re filming? nick frost said on twitter the other day its a frighteningly close 18 days til theyre done. I almost didn’t notice that Gideon is missing a chunk from his sleeve! Your crew looks very happy by the way. hey, I have that Toronto Shirt. NIce pics here. 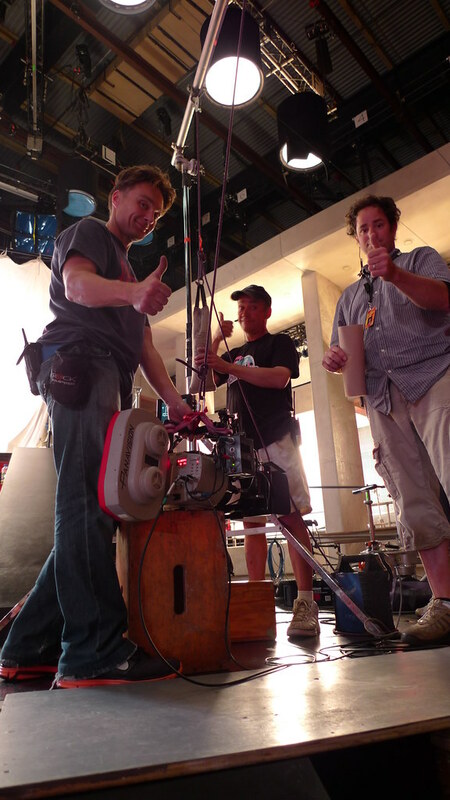 That first pic gives us an idea of what it’s like to be an actor standing in front of the camera. All those people scrutinizing, making sure it’s all good…a bit intimidating. yeah my first thought was edgar! don’t think hair dark or long enough. but then i don’t go round watching the back of edgars head so its hard to say! 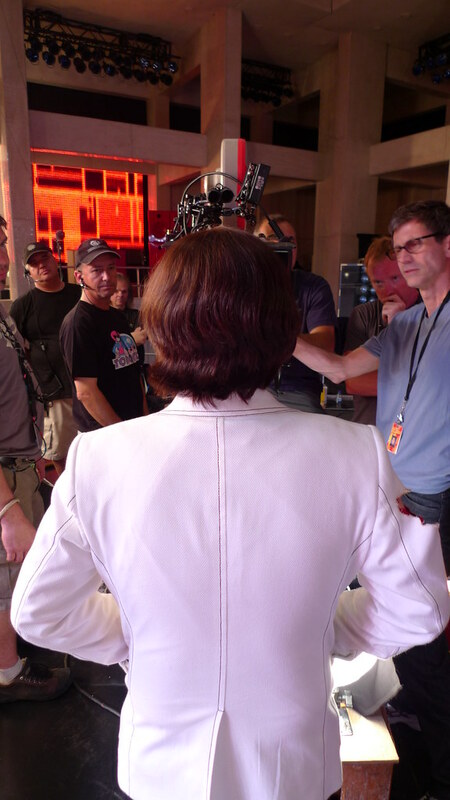 Also – that white suit is teh shizz. Gideon Gordon Graves and his nicely combed hair. Wait… Is that Jason Schwartzman?! And is his hair fluffed?!?!?! When is the last day of the shoot? !